Media Size: 20" x 23"
Self-stick easel pad is great for brainstorming, problem-solving and much more. Write down group thoughts and post sheets on the wall as you fill them. Each bleed-resistant sheet has a 2" adhesive strip on the back, making it a great resource for meetings. Remove cleanly without leaving residue behind. 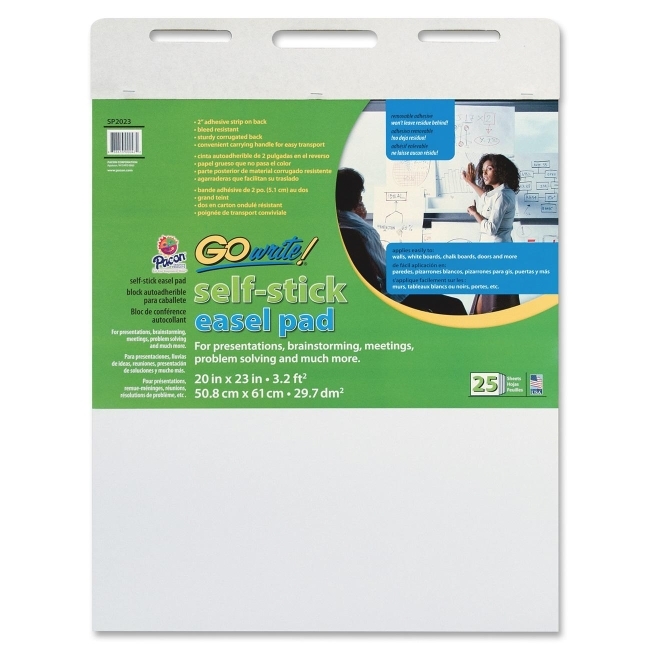 Sturdy cardboard backing offers a durable, supportive writing surface. Convenient hand holds are built into the pad for easy transporting. Recyclable pad includes 25 sheets.